We appreciate all the men who came together to make our 2017 Men's Fellowship a time of great encouragement and growth. Mark your calendars for December 1, 2018 for our next gathering. 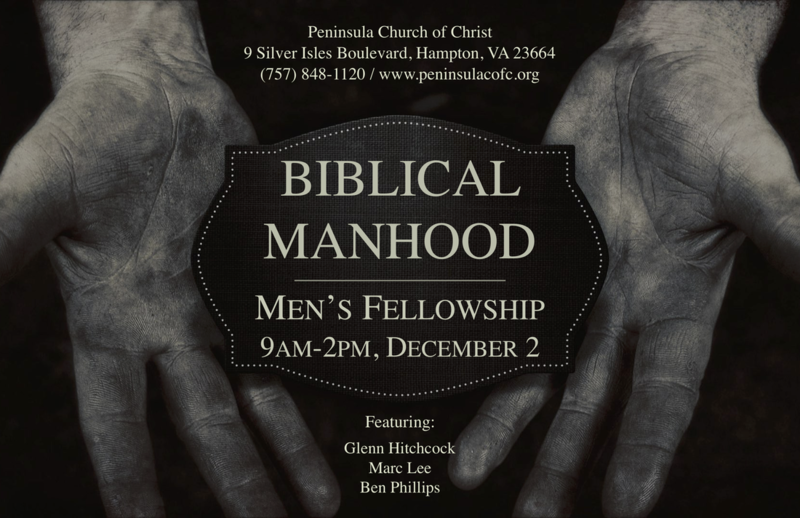 Our topic of study will be, "Biblical Manhood: Leading Our Homes." You will find the 2017 outline book and audio below for you to download. TO DOWLOAD THE BOOK & AUDIO FILES, CLICK THE BLUE BOX TO THE RIGHT AND CLICK DOWNLOAD ON THE ONEDRIVE PAGE.